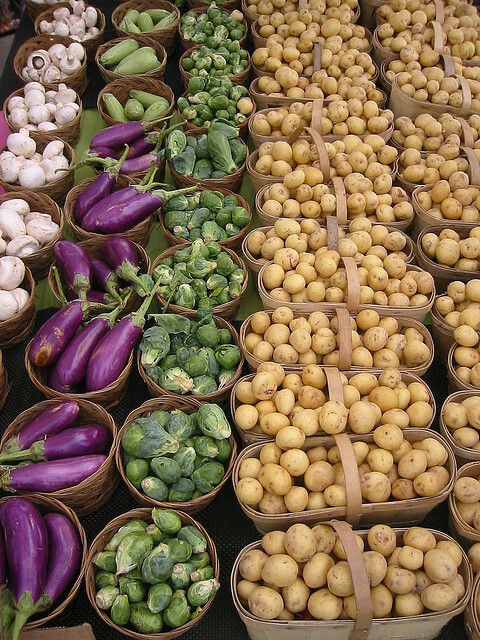 Buying fresh, local food is a priority for many people, but it's not as easy as it sounds. Do you really know where your food comes from? 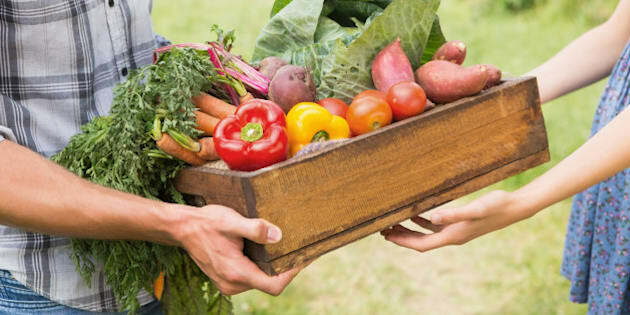 Ask a few questions and you may just find the "local" food you're paying a premium for at your farmers' market or grocery store has traveled way farther than you'd like to think. It's no wonder we're all confused about where to get fresh and healthy food. There are two plates of raw asparagus at farmer Paul Spence's booth at the farmers' market within Wychwood Barns in Toronto. While the asparagus on each plate doesn't appear to differ at all, one bite and everyone seems to know the difference immediately. One of the plates holds asparagus that is crisp yet tender, offering a satisfying green and fresh taste. It's both sweet and peppery, with a hint of lemon. The other seemingly identical asparagus is all wrong. It doesn't snap but is almost rubbery in texture. The taste is bland, if bland can be called a taste. So, what's the difference between the two asparagus samples? 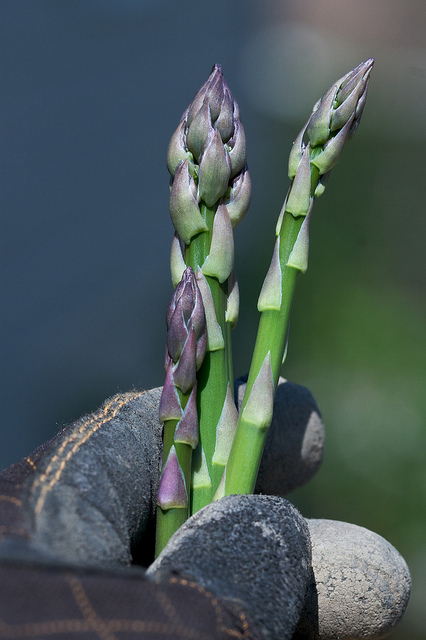 On the first plate rests the farm fresh asparagus, and on the second plate is asparagus Paul has purchased from a local grocery store. Paul does these taste tests at food events and farmers markets in Toronto and throughout southwestern Ontario. No matter where he travels, people can always tell the difference between the two types of asparagus. Not surprisingly, farm fresh is always the clear winner. Our taste buds seem to be designed to prefer it. It makes sense that we would like the taste of fresher produce, because the faster it gets from farm to our tables, the more nutritious the food is. Buying fresh, local food is a priority for many people, but it's not as easy as it sounds. Do you really know where your food comes from? 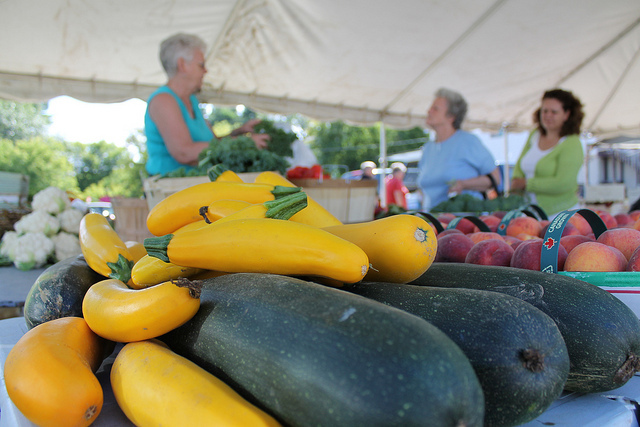 You may shop at a farmers' market, but have you talked to the farmers about where their farms are located, or how they take care of their land, their crops and their animals? Ask a few questions and you may just find the "local" food you're paying a premium for at your farmers' market or grocery store has traveled way farther than you'd like to think. Some vendors at farmers' markets even buy their food from grocery stores to sell at a huge markup. At one of my favourite farmers' markets in Toronto, I recently saw some tomatoes being sold as "local" as the vendors tried to hide some boxes clearly stating "product of Mexico." And it was recently revealed that one of Ontario's largest chicken producers was falsely labeling its chicken as "organic" when it wasn't. It's no wonder we're all confused about where to get fresh and healthy food. I met with Paul Spence, farmer and co-founder of C-K Table in Chatham-Kent, to talk about the state of Canada's food system. "Our food system is so broken we need to do lots of things to fix it," he says. "We need a multi-pronged solution." One of the core issues that I find particularly shocking is that Canadian farmers are forced to work multiple jobs. They can't focus on feeding the rest of the country because, in addition to the blood, sweat and tears they put into operating their farms, they need to take on other odd jobs to make ends meet. This reality is a strong sign that the future of farming is in danger. If we don't prioritize our own food supply and reward farmers appropriately, the health of the entire country will suffer. So, why aren't farmers being fairly remunerated for the vital role they play in our society? Paul tells me about several reasons. I'm surprised to learn that in a farming community as prolific as Chatham-Kent, many of the people who live there buy food at the grocery store that comes from other countries. Much of the fruit, vegetables, grains, organic meat, poultry and dairy are sent three hours away to Toronto. Paul explains why: "In larger cities such as Toronto, people are willing to pay a fair markup for organic food. 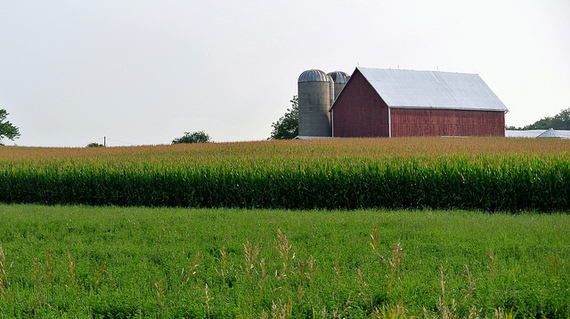 In smaller farming communities like Chatham-Kent, they aren't. In this community, farmers' markets start up every two years or so and then die off because people don't want to pay what organic food costs to grow. Farmers end up selling their excess food in their driveways at bargain basement prices, and then people come to expect to always pay these prices." I'm saddened by the fact that all of this wonderful local food isn't being consumed locally. I think back to travelling in Germany and France where I stayed on farms. 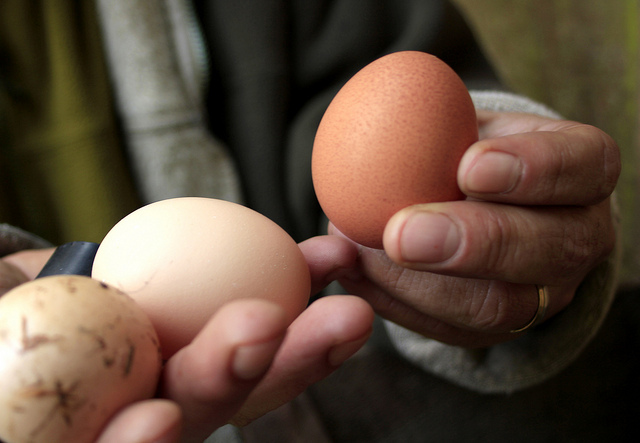 At breakfast, fresh eggs and milk were served literally from the owner's backyard. Why is that notion so foreign to us in Canada? In many other countries, farmers sell food right to the people. Is it just me, or does this make the most sense? In Canada, farmers can't sell their food to the public unless it's in their own driveway. As soon as they take the food off of their farms, it's all government regulated. This means farmers are forced to sell most of their food to distributors who are a couple of hours away or more. Involving the "middle man" has numerous implications. Firstly, we are missing that connection between farmers and eaters. It also means we are paying more for food that is less fresh. It's no wonder that farmers struggle to keep the costs of healthy food down while also needing to make a living. It's a difficult position to be in. There is a new model that seems to be working: the relationship-building that is happening between farmers and chefs. 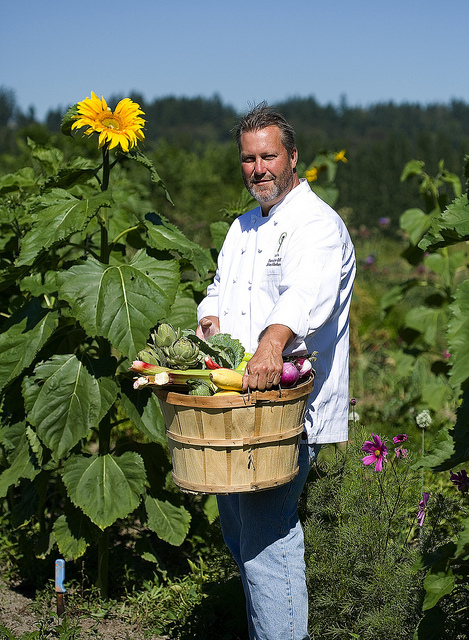 As their guests demand more information about where their food comes from and fresher, local ingredients, more and more chefs are visiting farms to further their culinary education. For example, chefs wanting to make pâté would have difficulty buying liver at a butcher shop, but they could request some from their farmer friends. This "snout to tail" approach helps prevent waste and creates a more sustainable food system. When chefs request specific ingredients such as heritage grains or organic goat's milk, farmers will meet the demand because they know they have a buyer. In this way, many chefs are driving the desire for more wholesome food. It's my hope that dietitians can become part of the conversation as well. Paul tells me okra is one example of how chefs and dietitians can partner with farmers. This nutritious vegetable grows well in Chatham-Kent, but many farmers don't grow it because people don't know how to make it taste good. If chefs start to feature okra on their menus and, together with dietitians, share its health benefits and recipes on how to incorporate it into meals, this will increase consumer demand for okra. All of a sudden, you'll see more farmers growing the food to increase the supply. Consumers really do vote with their knives and forks. I ask Paul what we can do to ensure we have access to fresh, local, organic food. His message to each of us is, "If you care about the quality of your food, you need to voice your opinion. Lobby. Get out to farms and talk to farmers to learn what the barriers are to them providing healthy food and what we can do to support them. The lack of access to healthy food is a huge problem in Canada." Paul envisions a world where farmers work directly with consumers to produce the food we want to eat. He sees there being a need for more transparency about what produces quality food costs so people can decide if they are able or willing to pay for that. "Seek out markets where you can speak to the farmers who grow your food. Go to farms and learn about what happens there," says Paul. "Bring your kids to visit farms and develop a greater appreciation for local food. The next time you're at your butcher, fish market or farmers' market, don't be afraid to ask questions. We need to start rethinking our food."